probably one of the things i remember most from my childhood was sundays with my parents and older brother. sorry, joey, you weren't around yet. my mom had her own bend on particular days of the week and her calendar went something like this... friday, saturday, and "funday". this was the day i most yearned for because i knew it held the promise of the 4 of us spending the entire day together. after church, thanks mom, we might go to the park, the zoo, a football game or even have a barbecue, thanks dad, while my brother and i played touch football in the backyard with friends. there was also our "go to" should nothing else pan out which was having my dad take us on one of his favorite "drives" (this would send most kids into a tizzy but we loved it) that always turned into an amazing adventure. it wasn't that we would go anywhere anyone else might think of as "special" but it always seemed like a stroke of genius once we arrived. not sure how that whole thing kind of dissipated over the years but i'm here to say i'm bringing it back! the funday that seemed most perfect recently found my husband and i at maha yoga for an exhausting, sweaty but utterly gratifying class with steve ross (my favorite yogi in the world) followed by a well-deserved breakfast of baguette, butter and jam with a perfect latte at le pain quotidien downstairs. from there we went onto hike solstice canyon in malibu. beautiful! 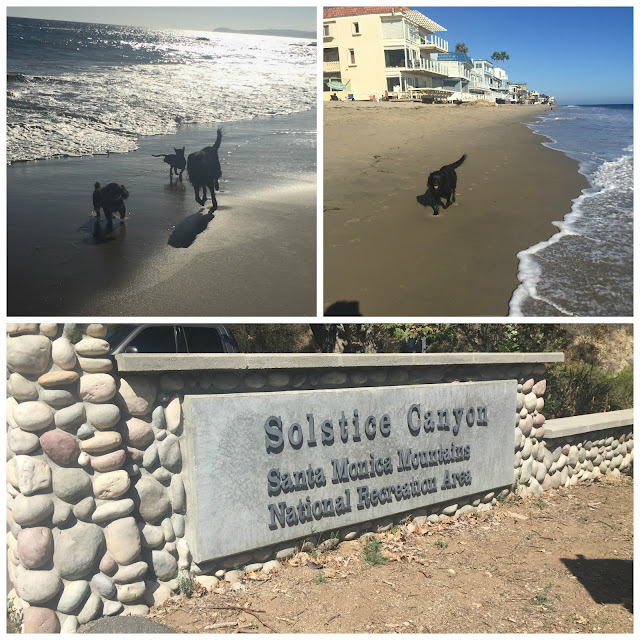 after a very warm and exercise filled morning we grabbed our dogs and headed to the beach for a jump in the ocean to cool off and play in the surf. the evening was a simple barbeque with lots of lounging while we watched sunday night football. doesn't get better than that! i decided it was high time we all got on board so i asked my angels what their perfect funday looks like. p.s. if you don't have kids or a significant other grab a friend to help turn your sunday into a funday. p.p.s. my two cents, fundays should be cell phone/gadget free if at all possible. does anyone else have that really old song "love the one you're with" pop into your head when you're with someone who is constantly texting someone else who's not there while you are? besides that, we all need to disconnect every so often. good for the soul! growing up, there was always a gathering at my grandma's house every sunday for dinner: our family, grandparents, aunts, uncles, neighbors, friends...as the years have gone by we do sundays together as often as we can but with everyone's busy schedules, life often makes other plans. 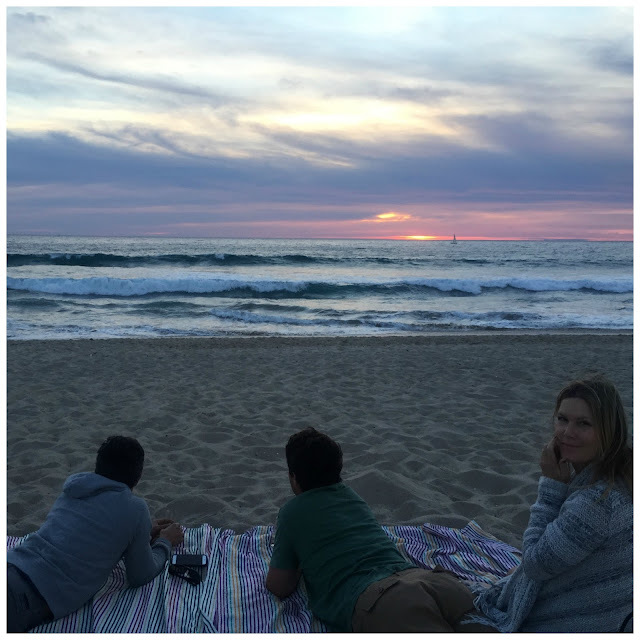 when we can't do a big get-together, a simple picnic + a quiet sunset with a few loved ones still makes for a soul-soothing end to the weekend and start to the week ahead. my favorite way to spend a sunday is to enjoy the many aspects of the beautiful area we live in - going from the beach to the mountains in minutes. 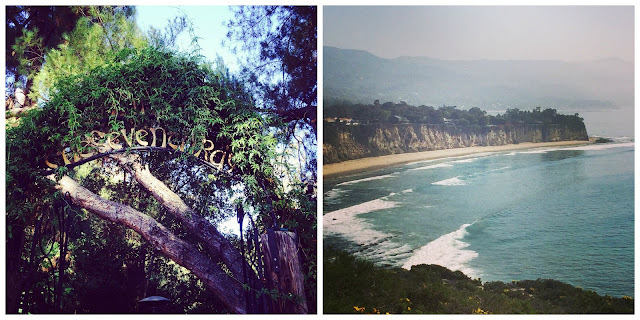 love to start the day with a nice relaxing beach walk, followed by a late breakfast in one of my favorite placed nestled deep in the canyon surrounded by old oak trees, flowers and a trickling stream and then sometimes taking a nature walk overlooking the deep blue sea. these are just some of my favorite things. i hardly stray from my relaxing sunday routine: my morning is spent sitting with my husband in the sunny courtyard of point dume plaza, reading on my kindle and enjoying an almond milk latte from cafecito organico. after church, we meet up with friends for lunch before heading to the beach for an afternoon of surfing and sunning. more often than not, we end the day with a spontaneous cook-out with whatever friends and neighbors are around. it's the perfect way to recharge for another week! my perfect sunday funday consists of spending quality time relaxing with my family and friends. 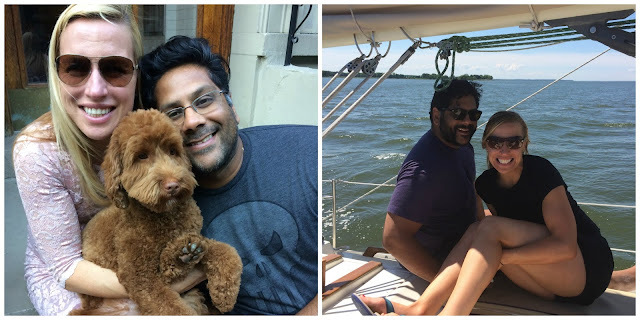 being outdoors for part of the day is a must - whether it is going on a long run or walk with my husband or our dog teddie, or being on the water - boating, sailing, waterskiing, tubing, swimming, etc. we also love food and sunday brunch is our favorite - we cook up a big feast and have loved ones over to enjoy it with us. after being outdoors and having an awesome brunch, we like to have couch time snuggling with our baby vivianna and catch up on shows or watch a ball game. oftentimes this will turn into a lazy sunday afternoon family napping session. my sunday funday always starts by sleeping in...then it's off to my favorite neighborhood gem, the brentwood farmer's market, for the freshest produce and some new blooms to start the week. the rest of the day is completely reserved for friends, football games and home-cooked meals (and perhaps attempting new recipes).